Ginger Catering and Events offers you professional and quality event management services that will thrill your guests and relieve you of stress and allow you maintain your energy on your day. They prepare fresh, healthy and affordable meals for you and your guests to enjoy. They have treats from suya, pizza, cocktails, BBQ etc for you. They engage in some creative works in presenting your food to you. You won't be forgetting how your food looked before you started with it. 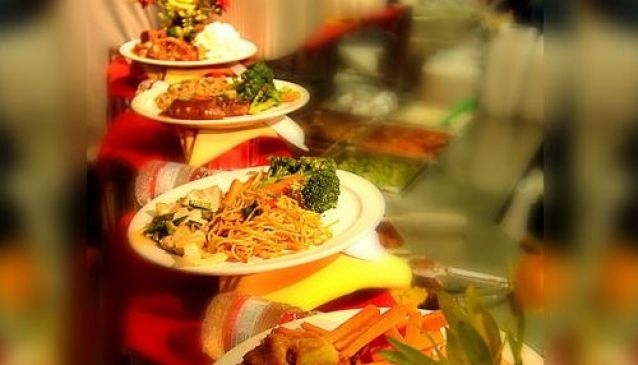 Packed in delicious wholesome flavors, the meals set Ginger Catering and Events apart from others. They offer consultations in planning your event; from logistics to venue to theme to entertainment to multimedia to ushers to party favours. They take care of the whole package for you leaving you to enjoy your event and attend to your guests.